The Legend of the animals going in two by two into the ark is charming, but the moral of the story of Noah is appalling. God took a dim of humanity, so he [with the exception of one family] drowned the lot of them including children, and also for good measure the rest of the [presumably blameless] animals as well. Richard Dawkins – The God Delusion, p 279. 2006. 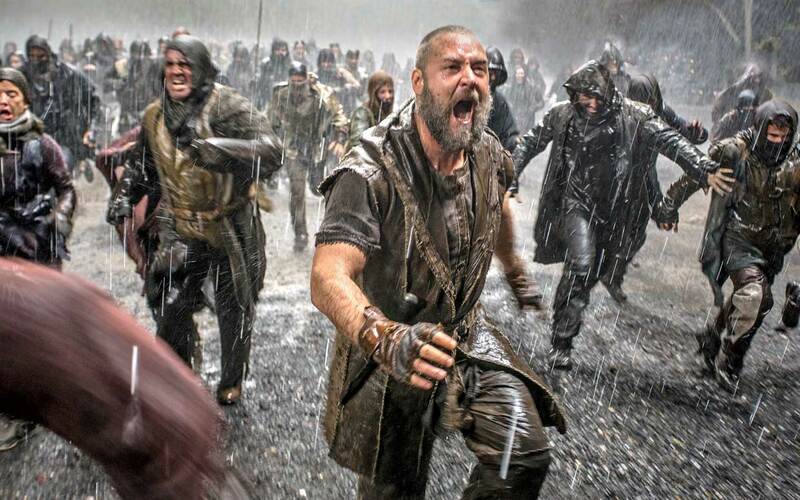 When the movie Noah, starring Russell Crowe was released early 2014, many Christians cried foul. It was an incorrect rendition of the biblical account, God was mean, Noah was homicidal ! It did not align with the Sunday renditions they were accustomed to – a God of grace saving a family and the animals through extraordinary circumstances. 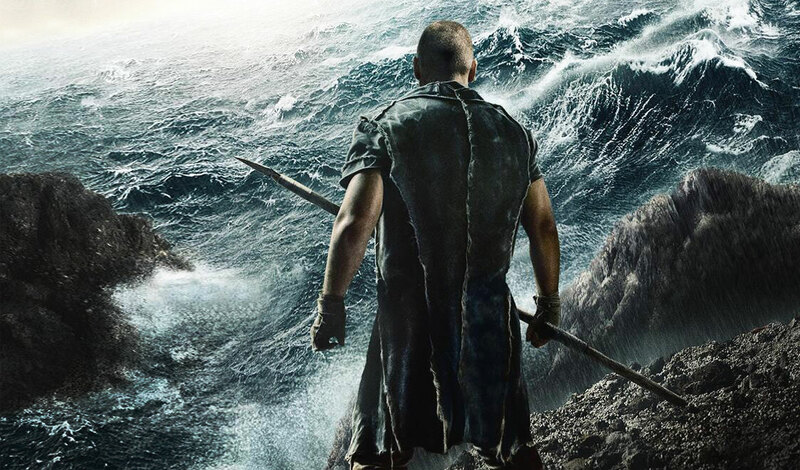 Aronovsky has taken a biblical tale and created a rendition to appeal to a mass audience. However, interestingly the biblical tale itself is a rendition taken from popular literature of its day. Each version has its focus and each focus has an interesting comment to make. The earliest version of the Flood narrative is the Babylonian epic dating back to 18th C BC. known as the Epic of Gilgamesh, or the Epic of Atrahasis. The story recounts an ancient king Uruk or Gilgamesh, living c. 2700 BC, part divine part human, who finds himself on a quest to find the secret to immortal life. Not unlike the Greek epic, The Odyssey, the hero embarks on a long journey across the ancient world encountering gods and beasts. 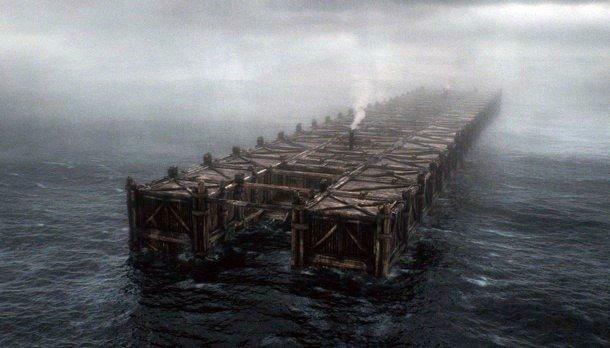 In his quest he discovers Utpnapishtim, or Atrahasis, the surviver of the Great Flood, a human granted immortality. 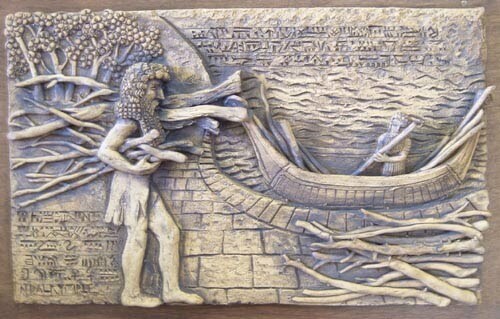 Utnapishtim recounts his story as one who built a boat, took his family, some craftsmen, two of every beast and survived the cataclysmic flood sent by the gods as punishment upon humanity. Upon landing on a mountain top, Upnapishtim releases a dove, a raven and a swallow. 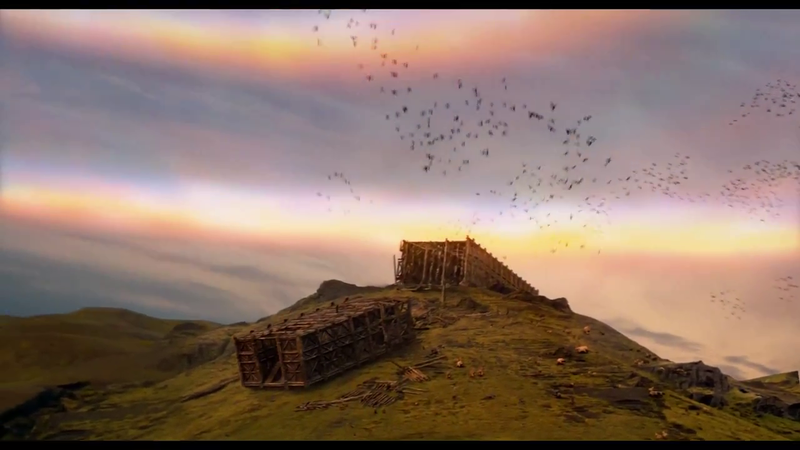 When the raven fails to return, he opens the doors to the boat and releases all the animals. He sacrifices to the gods who in turn lament ever destroying the human race and vow never to do so again. Utnapishtim reward is immortality. This gift is unique, however he shares with Gilgamesh the secret that at the bottom of the sea lies a boxthorn plant that will restore youth. Gilgamesh journeys again and acquires the plant but before he can eat it, it is stolen from him by a serpent. Gilgamesh weeps at the futility of his search for immortality, learning that “For when the gods created man, they let death be his share, and life withheld in their own hands.” Having failed both chances, he returns to Uruk, where the sight of its massive walls provokes him to praise this enduring work of mortal men. He understands that mortals can achieve immortality only through lasting works of civilization and culture. So the story of Noah is a tragedy, which ever way one looks at it. It bears more in common with apocalyptic than with adventure genres and holds profounds questions up for consideration – what is the destiny of humanity? what is the consequence of human evil? how do righteous men and women find immortality or favour with the gods? what is the meaning of our mortal existence? In the Babylonian account, the survivor of the Flood, Utnapishtim has been granted immortality, but Gilgamesh cannot attain it. He can only preserve it through human civilisation and culture. However, the story curls back on itself, for it is human civilisation and culture which brought on the wrath of the gods and the cataclysm in the first place – giving humanity a very tenuous place in the world. The Hebrew version, rather presents Noah [“he who finds rest”] as a mortal, saved due to his righteousness but not granted immortality. However, the very seeds of evil that caused the flood in his generation rear their head in his own behaviour upon disembarking and in his sons’ behaviour after him. He again the story curls back in on itself and begs the question – is history repeating ? 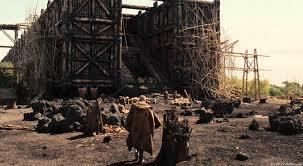 and what is the ultimate solution if Noah and his family are ultimately just the same broken and flawed beings? In our culture, we can strongly identify with a narrative which embodies mother nature as a wrathful being, willing to destroy all traces of human existence with a shrug. Meteors, ice-ages, flooding – many apocalyptic tales tell of the end of humanity at the hands of nature. Something within us understands that there are imminent consequences for our actions towards the planet we inhabit. While some Christians object to the overtly environmentalist agenda to such story, they must not forget that this is about as close to a sense of guilt and acknowledgement of sin as many in our culture can relate to. It is not a far stretch to tell the story not from Mother Nature’s perspective, but from the creator’s perspective. Human actions poison our world and there are consequences from an otherwise loving and “parental” deity. Humans can both trust God but must fear God’s wrath. This consciousness can only be a good thing when Christians interact with their fellow men and women. In the film, God is silent or distant, unlike the above accounts in which Enlil or the Hebrew YHWH interact personally with the protagonists. However, presenting the story as history, the story-tellers seek to give us a more “in time” version of events. How do you or I act or decide? Do we have strong intuition? do we perhaps dream or have premonitions and so act and in retrospect see destiny weaving our path? 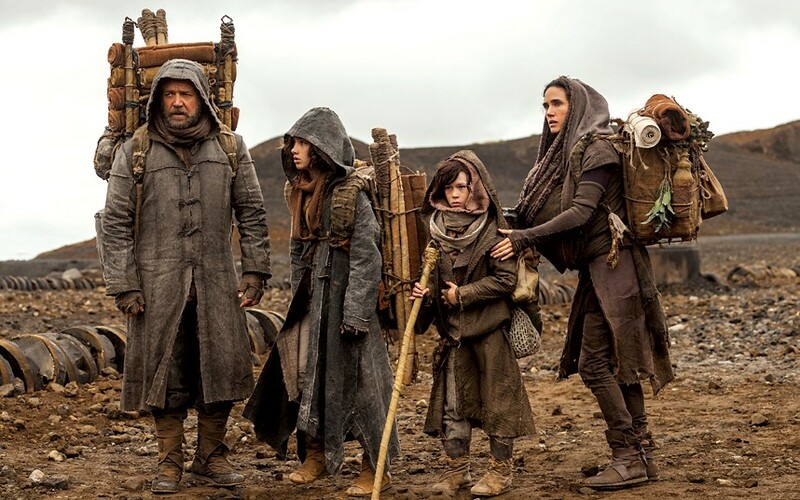 I believe the filmmakers sought credibility in their story telling and so rather than have an audible voice or visible being, represented Noah as behaving as anyone of us would do in such a case, alone with a more modern, internalised relationship with God. Noah really struggles with what is going on. The biblical account is spare and does not give much insight into the personal journey of the protagonists. Aronovsky’s film version seeks to get inside the mind and heart of a man who understands that humanity is deeply and darkly affected by a moral illness, including himself, including his descendants. Maddened and saddened by the destruction of humanity and the planet around him, Noah goes through a Shakespearean struggle to understand God’s will in all of this. Why save him and his sons when they too carry the seeds of evil within them? Should he exterminate any living descendants to spare the new world of the weight they will bring upon it? Should he and his sons live out their lives and die leaving the earth to peace and longevity? When Noah stays his hand from acting this judgement he simply suspends judgement for another to make. God will determine with the solution is for humanity. God saved a remnant, who themselves carry the line of sin. But through their faith to obey God, no matter the cost to themselves, He will bring about redemption. With the remade world, God makes a promise through the rainbow to never again bring destruction on the earth through a flood. Yet evil lives on and blood is spilled into the earth? So what happens to all the injustice in the world now? what bears the burden of the blood of the innocent? Here we have God change the narrative radically by presenting an alternative solution. It is through a descendant of Noah that the redemption will come. But this descendant will be no normal human being – God himself will take on human form and through the destruction of him body and soul, will bear the weight of the blood of the innocent and all the curses of evil we humans create. So the biblical story of Noah was in fact a reframing of a popular tale of it’s time. It reframed a quest for immortality which ended in acceptance that humans live but once and can only build great buildings to remember their lives. It re-injected into the story the hope for immortality, for life beyond death for human beings – but not through eating a plant – through surviving the flood, in an ark afloat on the cataclysmic waters of destruction. Jesus’ death and resurrection carries us through the storm to life on the other side, to a place where we can find life and rest.